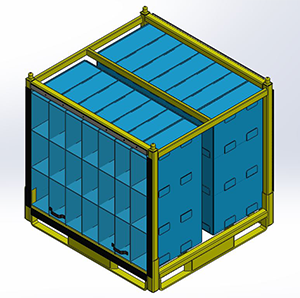 We can customize packaging for any size container (tote, bulk bin, rack) using 3D SolidWorks modeling. 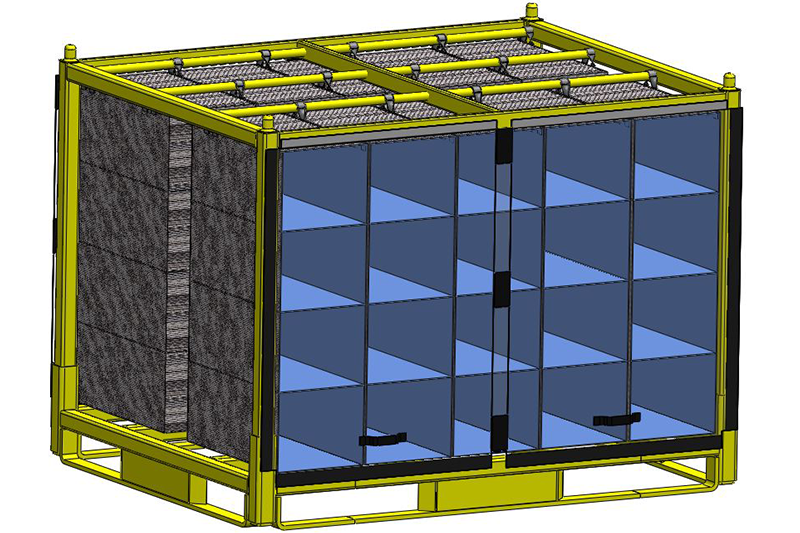 Send us a part file, part, existing pack, or even a sketch, and we will work with you to develop a design solution that integrates form and function with durability and reusability to provide a cost effective design solution. 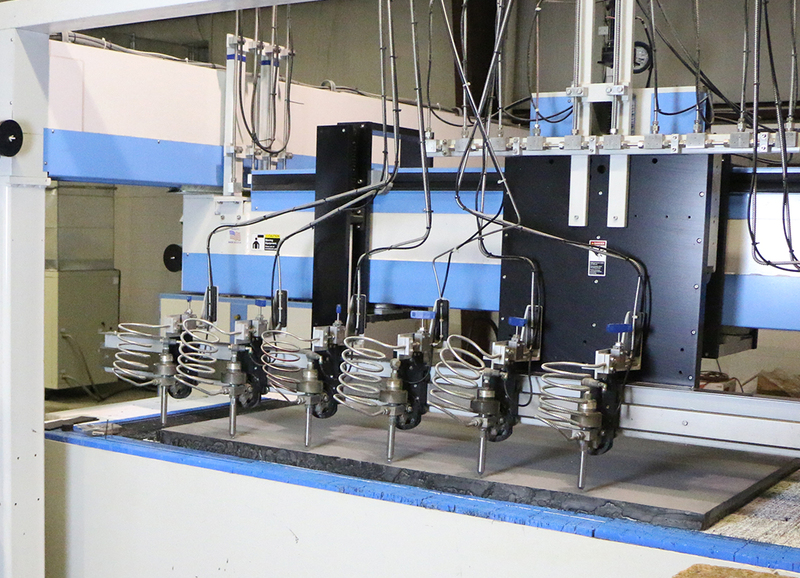 Our waterjets come from the industry leading manufacturer of ultra-high pressure waterjet technology and are primarily used to cut the many different foam products we carry. 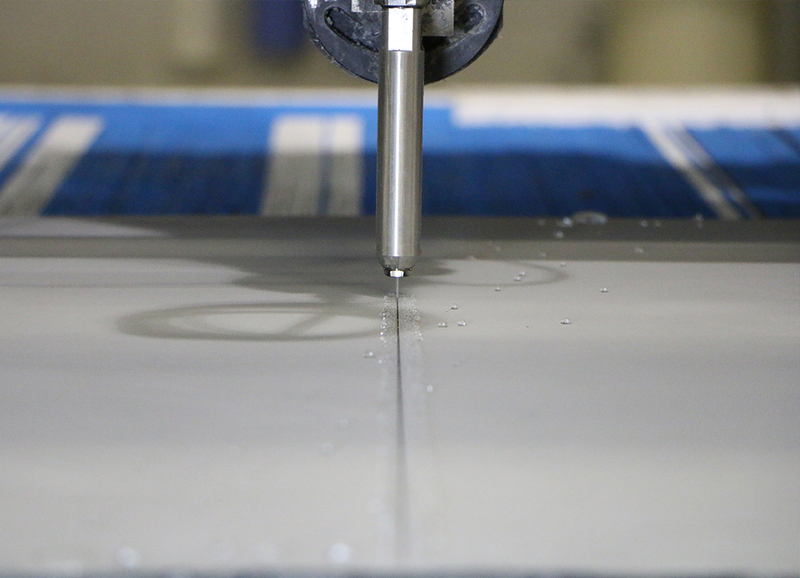 With 20 cutting heads, our capacity enables us to turn waterjet cut parts quickly and we have the capability of single and compound angle cutting. While you can cut just about any material using abrasives, we choose to focus solely on protective packaging to prevent contamination. 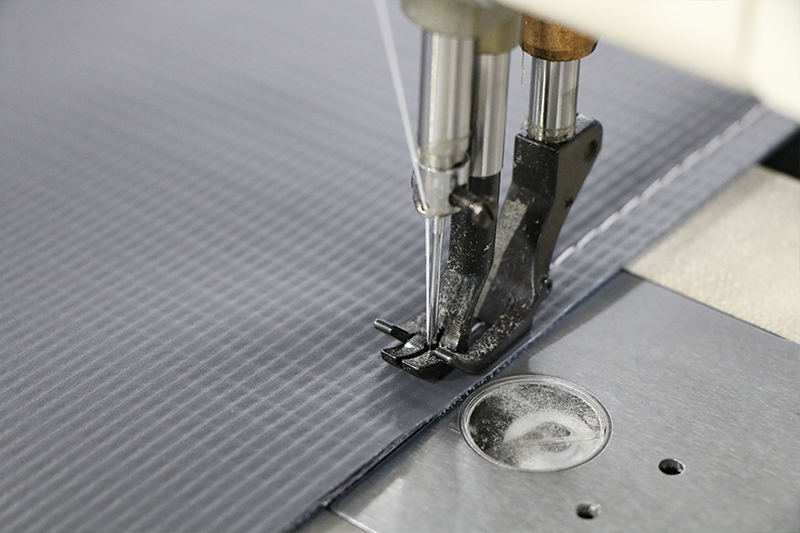 For die cutting, we use roll presses which is an economical way to cut corrugated material used in making dividers, partitions, layer pads, and panels. 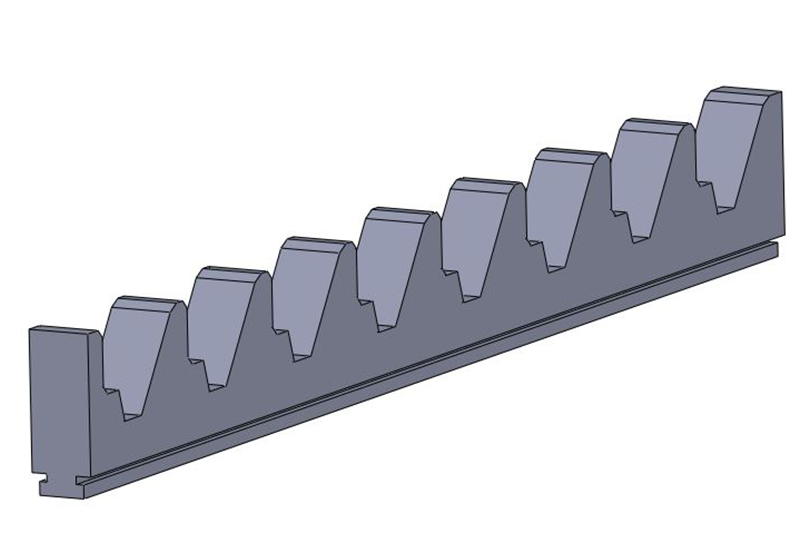 Flat dies are inexpensive and we will store them for the life of the program at no cost to you. 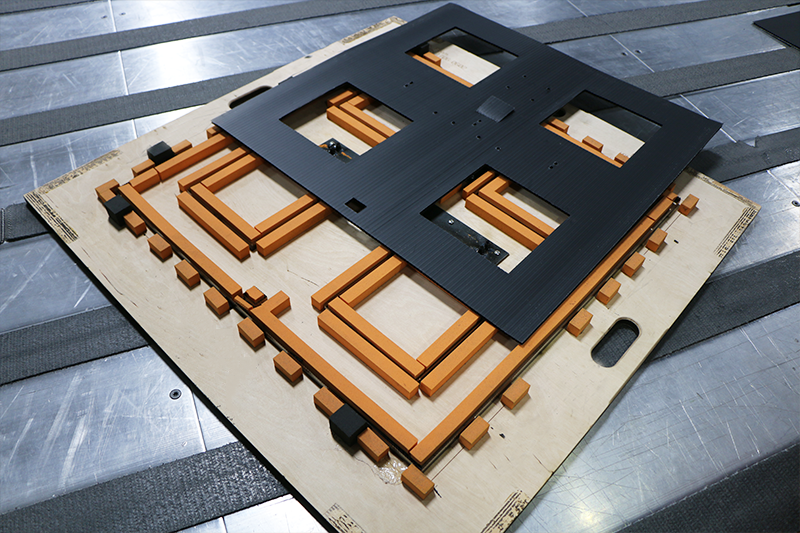 Our slitter is also an integral part of the die cutting process allowing us to cut our stock material to the specific size needed for the tooling. 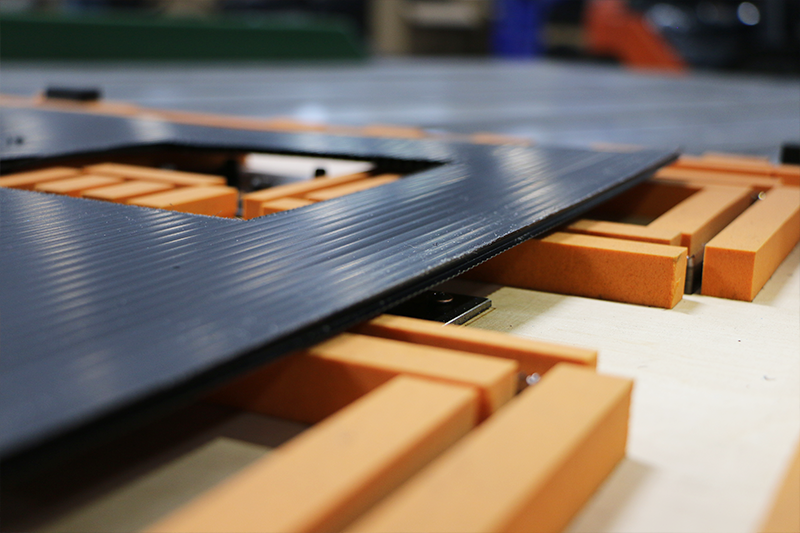 In addition, if you’re looking for simple square cut sheets and want to avoid tooling cost, the slitter is a great alternative to die-cutting if your required tolerances are +/- .25” or greater. We have been applying polyurea coating in house for over 8 years. 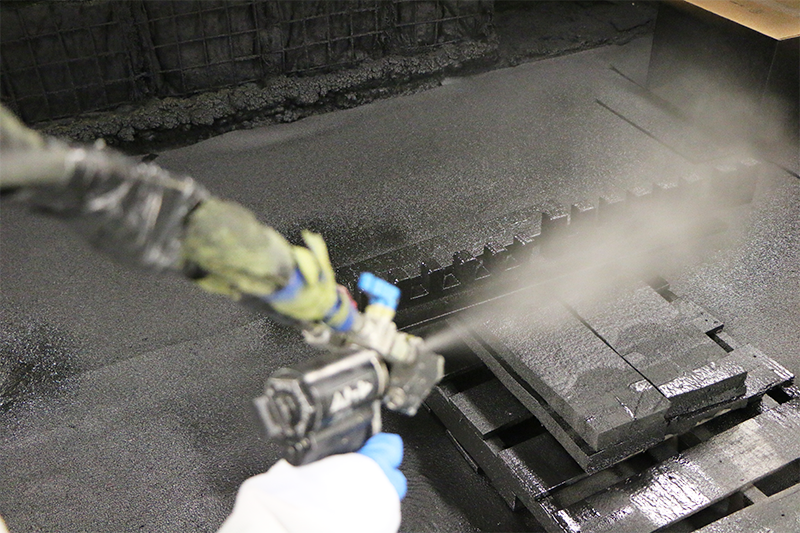 Polyurea coating is a two-component high-pressure heated spray-applied system. 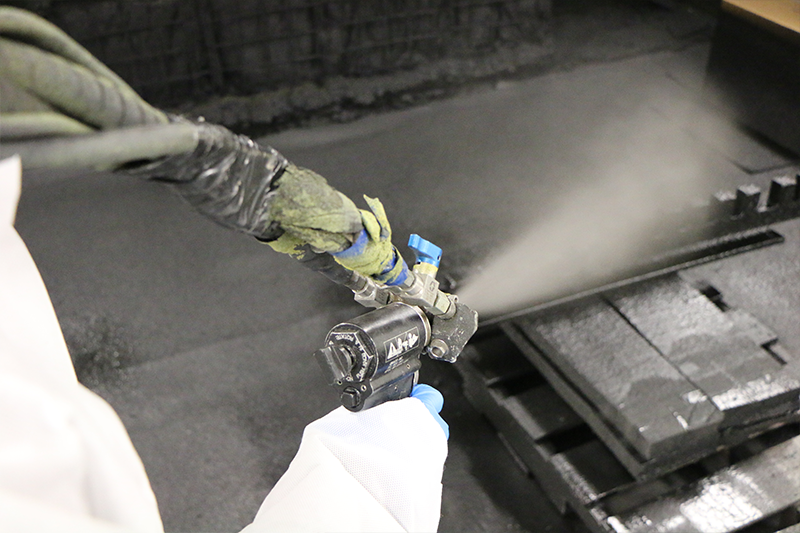 Polyurea provides a high level of protection against surfaces that may cause damage to the packaging or your part and provides best results through complete encapsulation. The coating surface also provides a plastic barrier from moisture and oils, thus maintaining the integrity of the packaging and making it easier to clean. 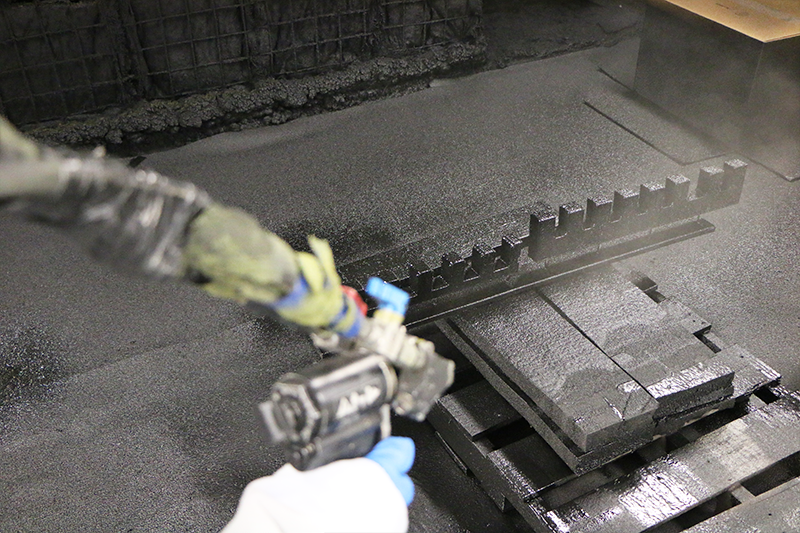 Polyurea coated foam is also a cost efficient alternative to molded rubber and urethanes, as it doesn’t require tooling. 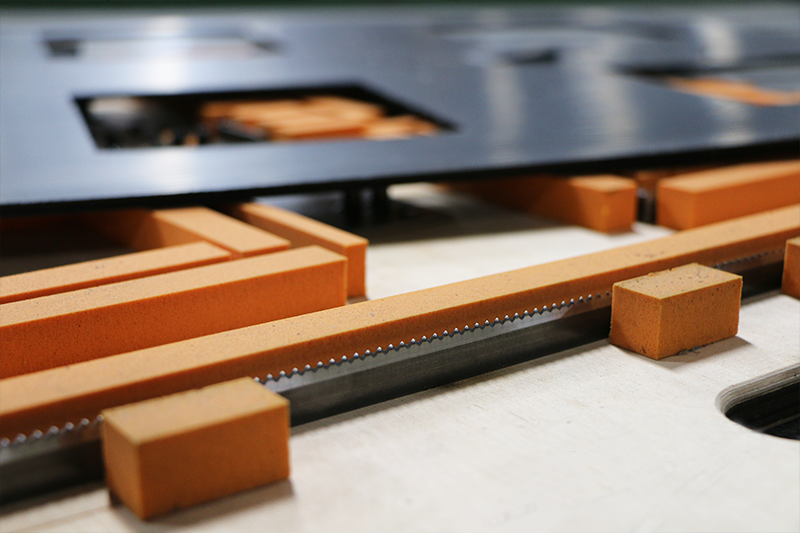 Many different substrates, from wood or metal to plastics and foams, can be coated. Sewing machines were invented in the 19th Century. While we haven’t been sewing for quite that long, we have been sewing in house for several years. 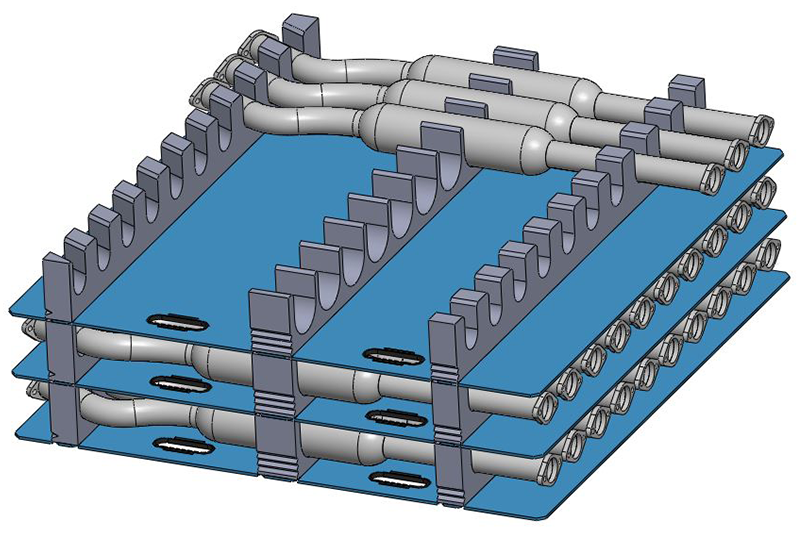 Packaging is becoming more complex and integrating multiple processes gives us the ability to create unique and complete solutions. 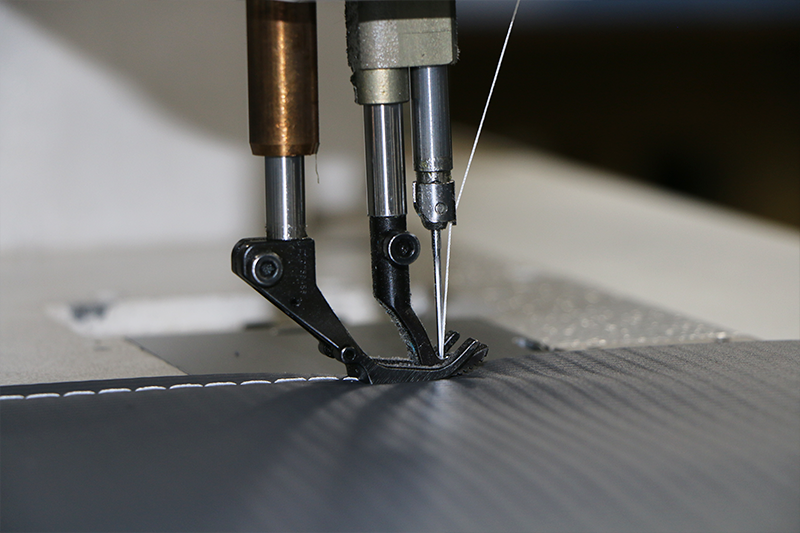 Fabrics have earned their place in the packaging industry by solving many different needs. The flexibility and thinness of fabric allows for more design options and increased pack density. 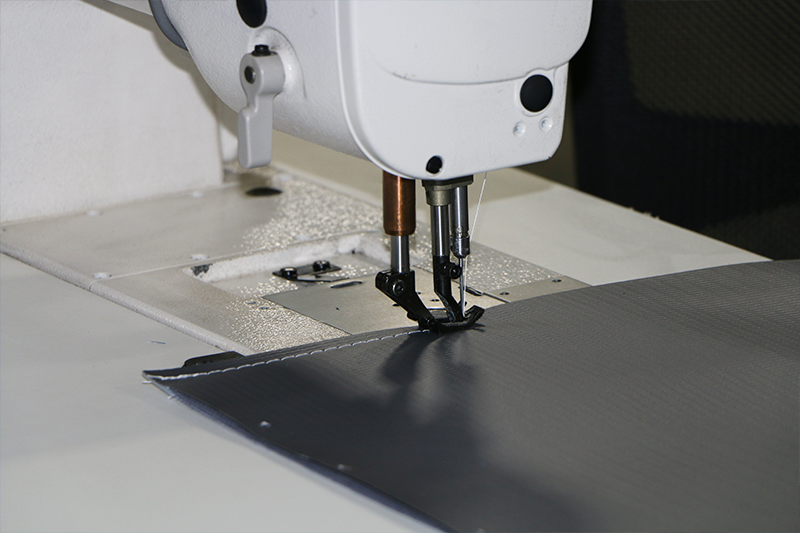 In addition, by using dust covers or curtains with your packaging, contamination in your manufacturing or shipping processes can be minimized or avoided altogether. 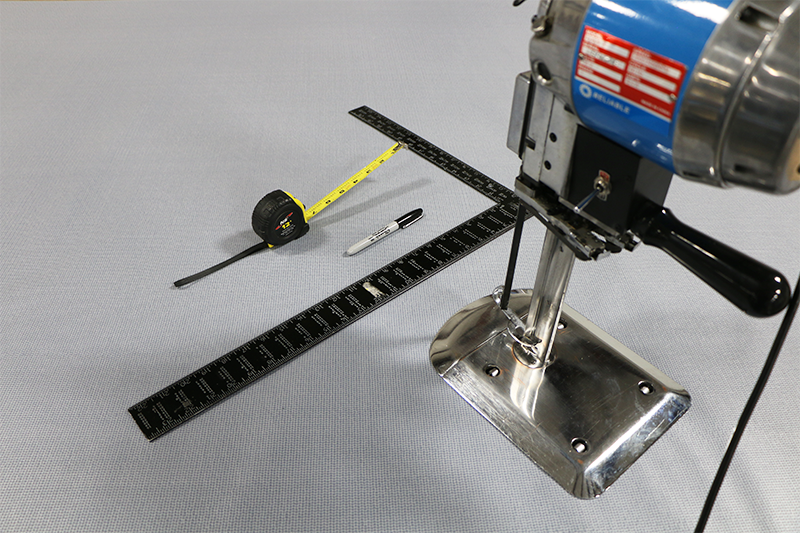 Check out our Product Gallery page!